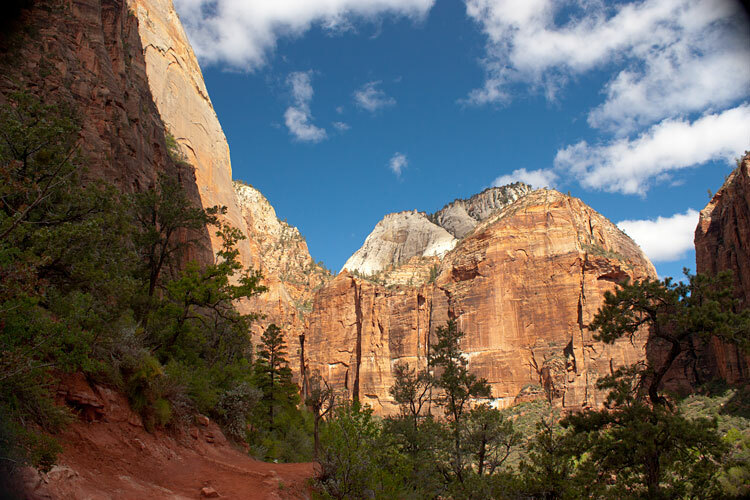 This trip to Zion National Park is my version of Gourmet Hiking! 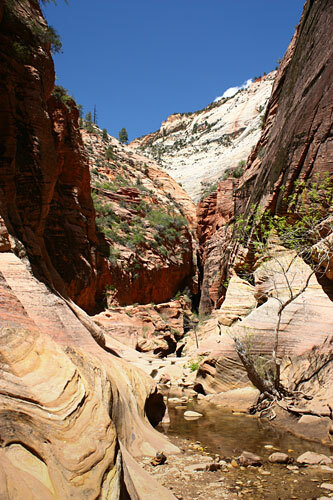 We stay in a nice hotel along the Virgin River with grand vista views of Zion Canyon. 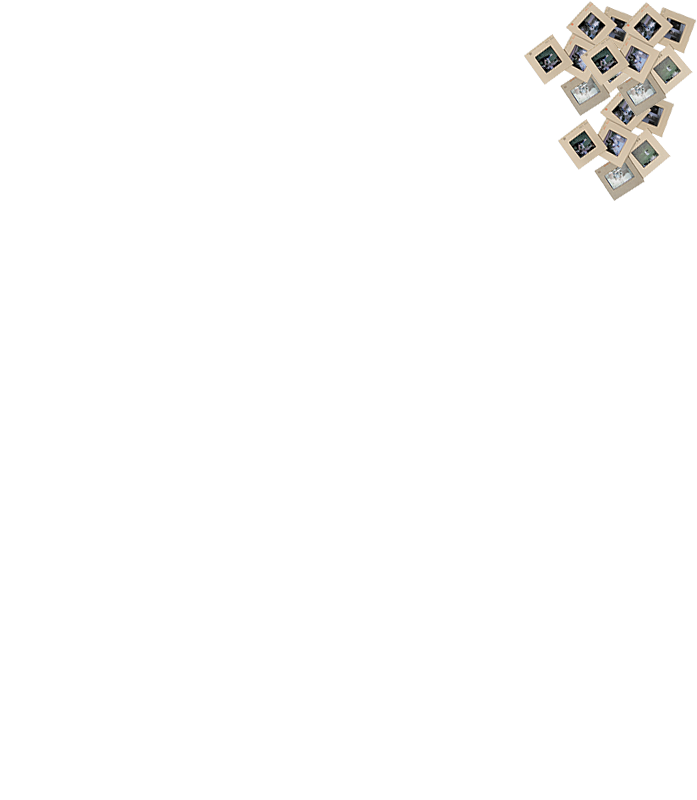 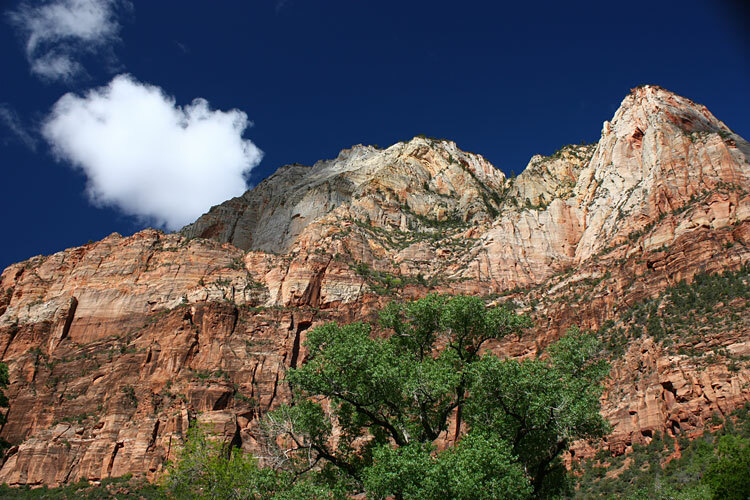 The hotel includes breakfast and offers a tree accented park-like setting, pool and Jacuzzi. 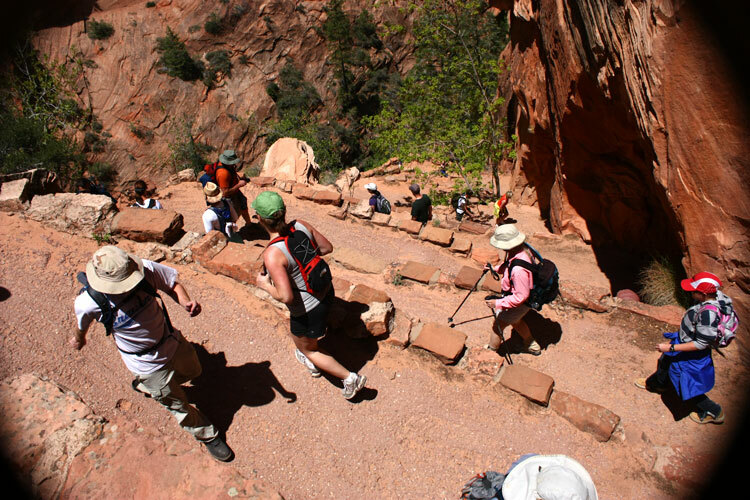 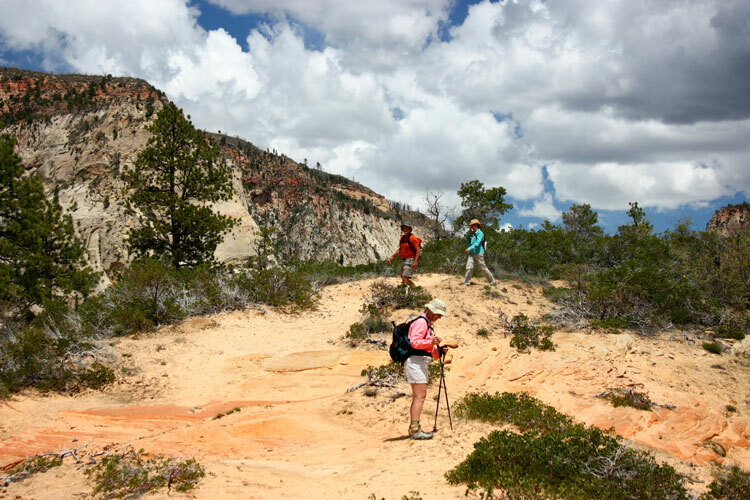 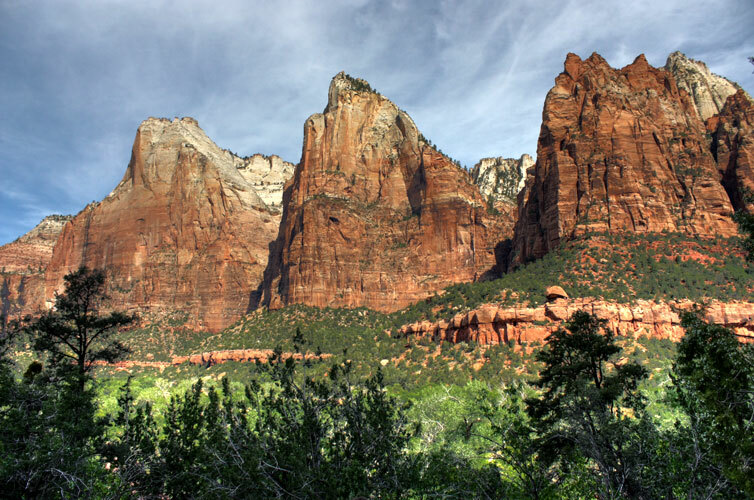 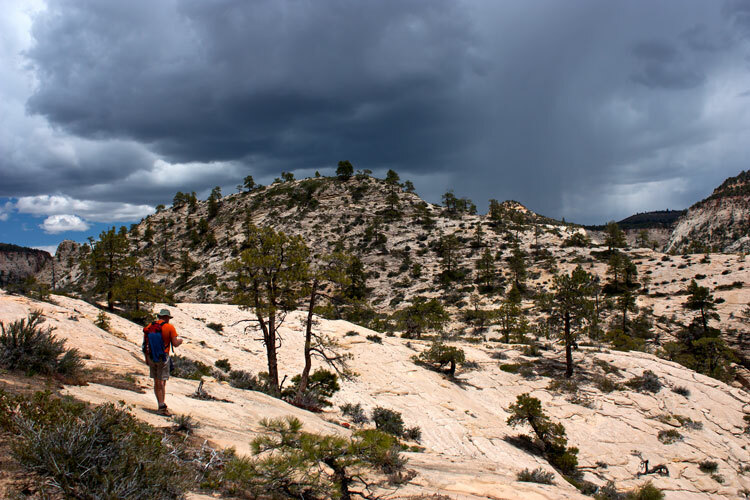 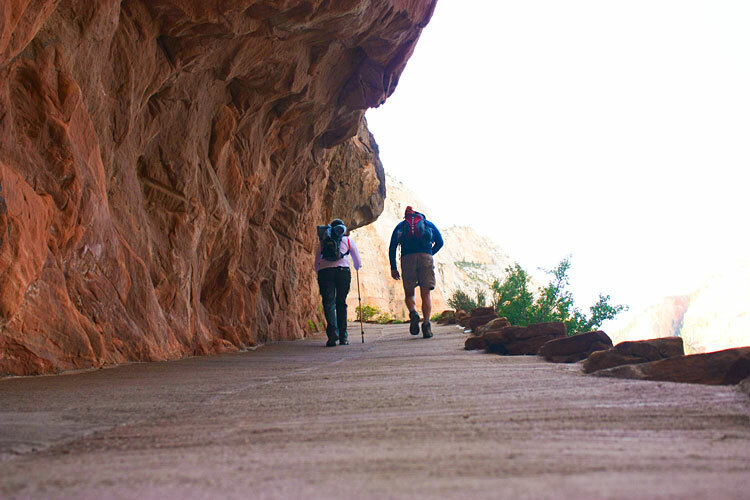 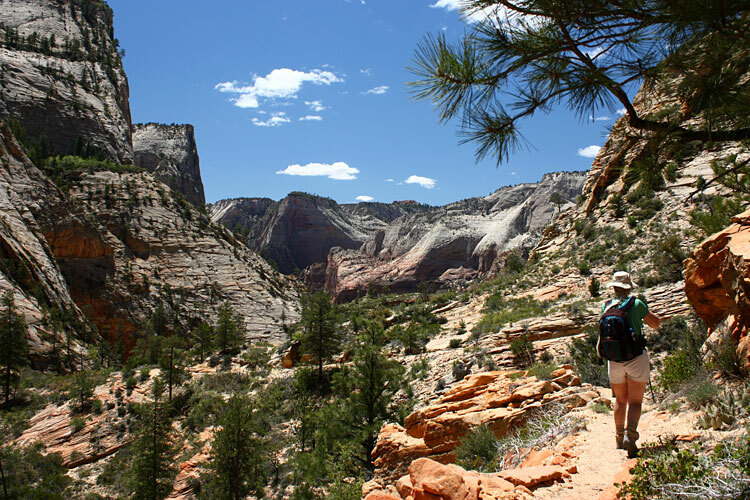 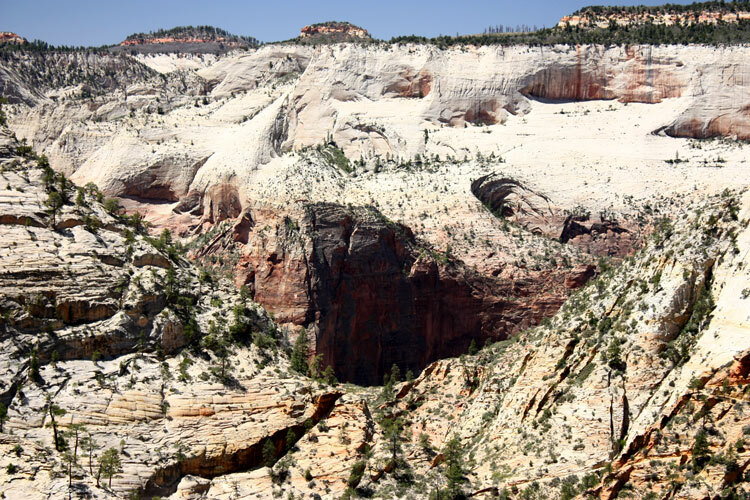 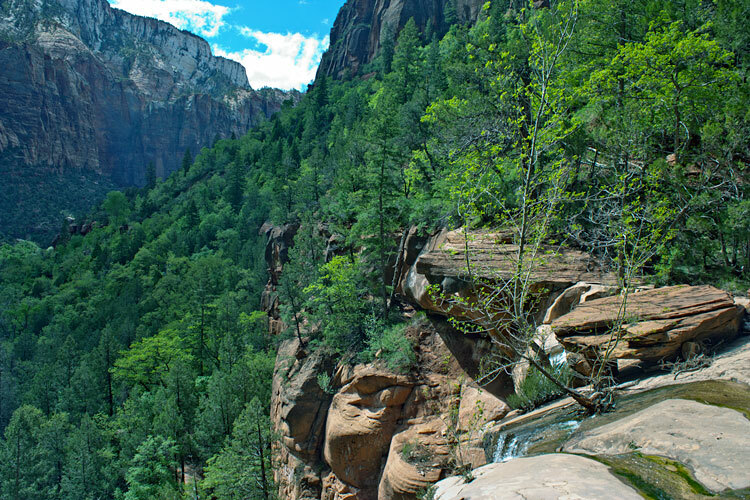 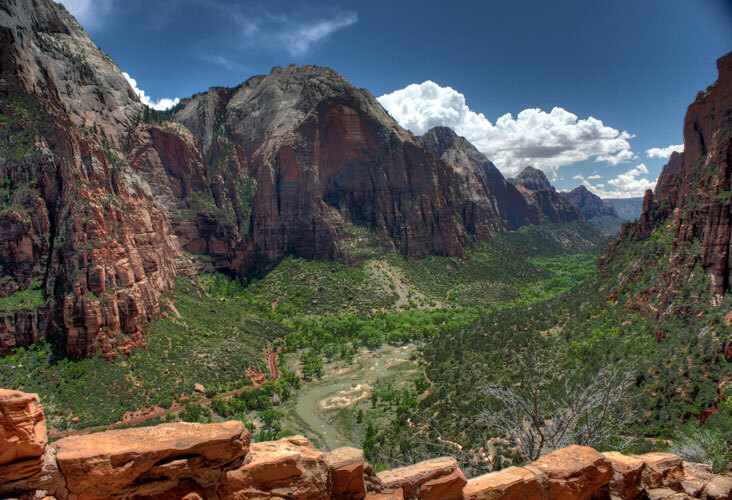 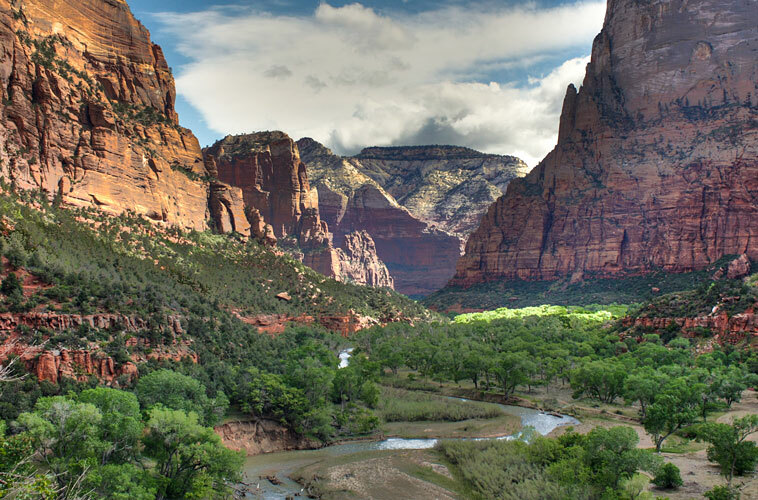 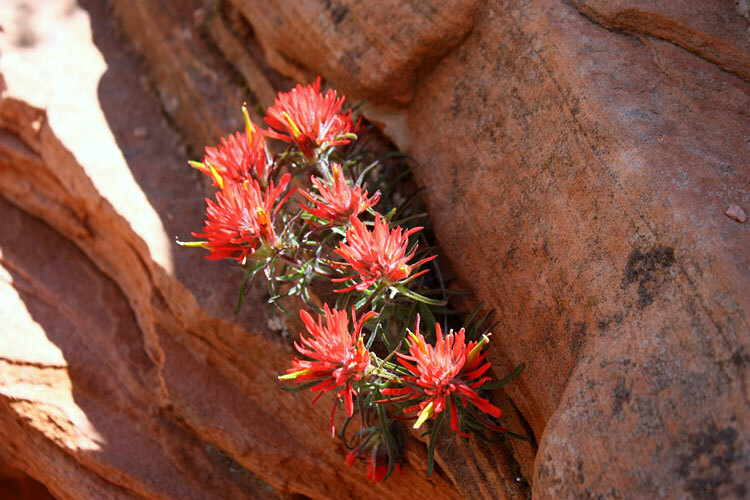 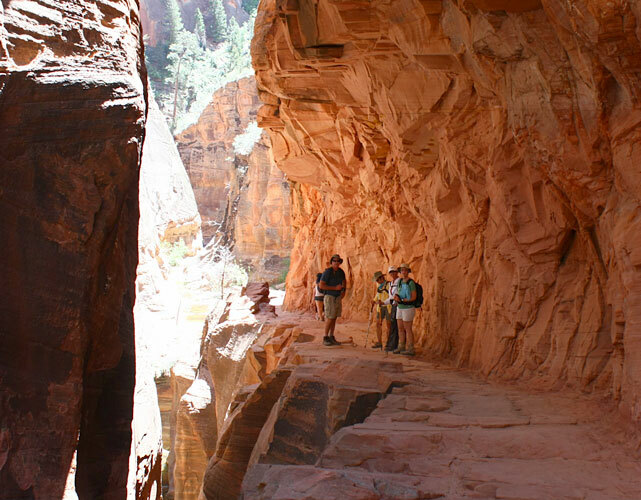 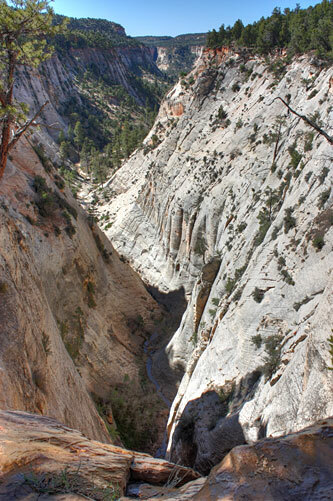 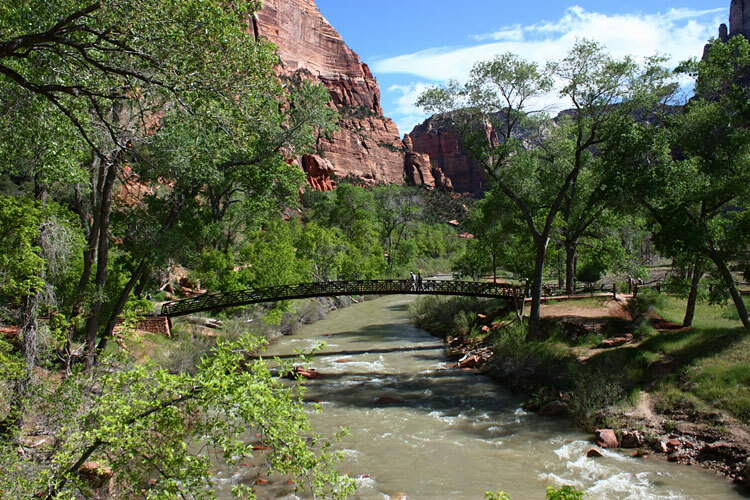 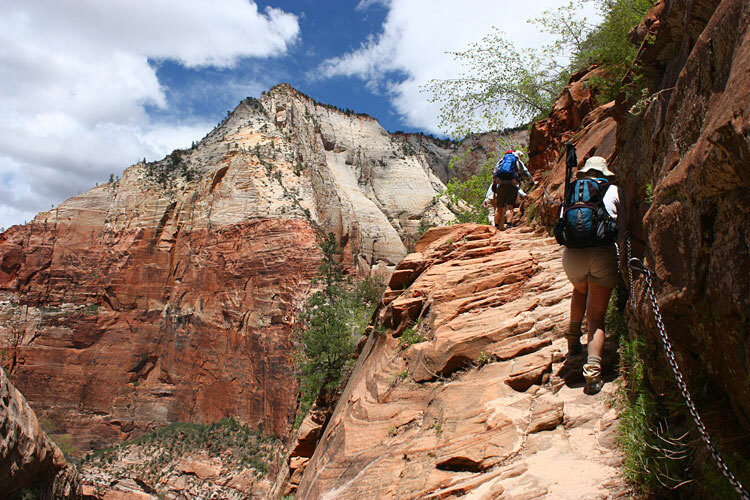 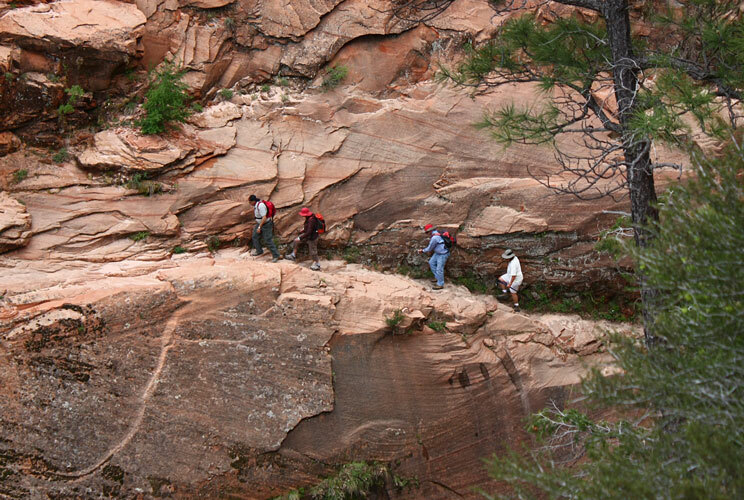 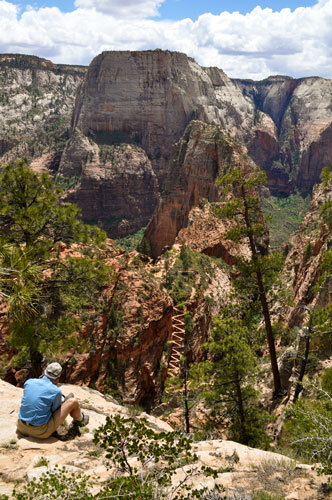 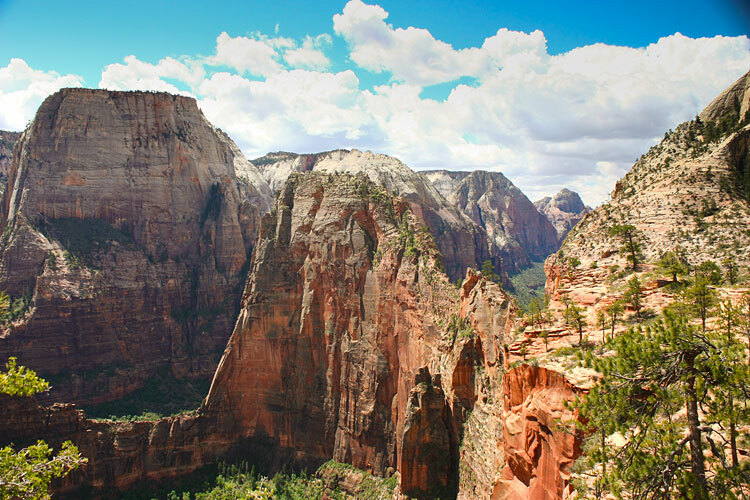 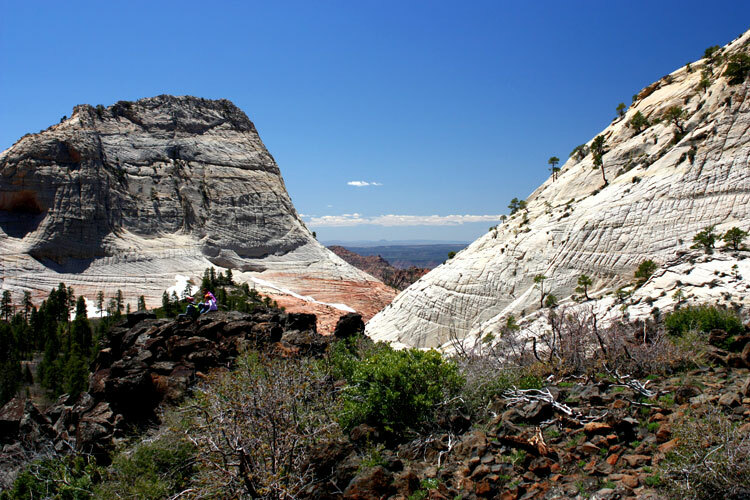 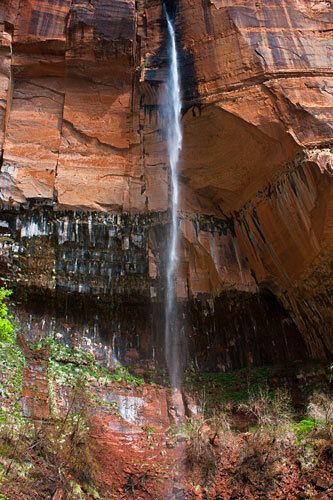 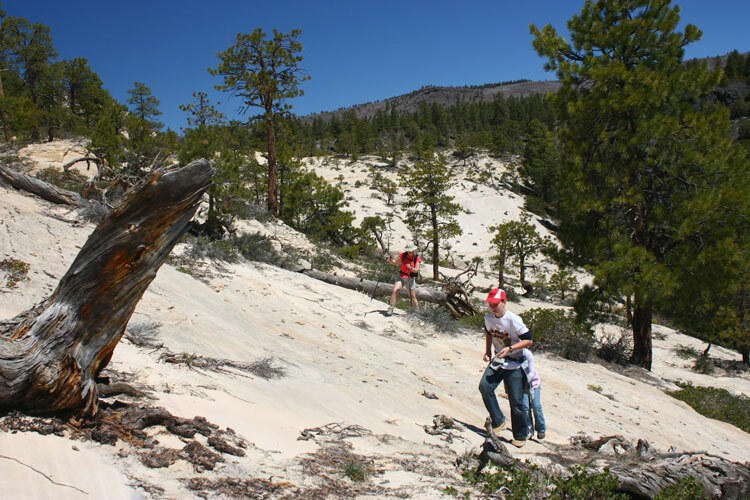 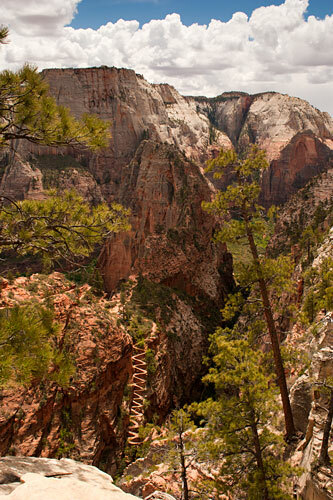 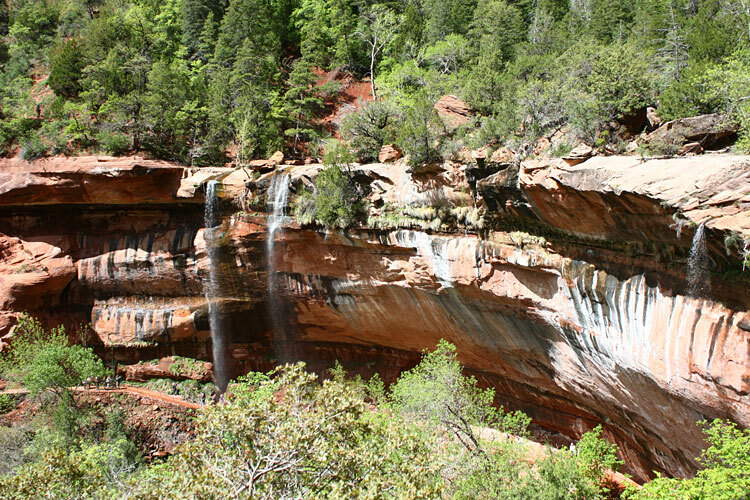 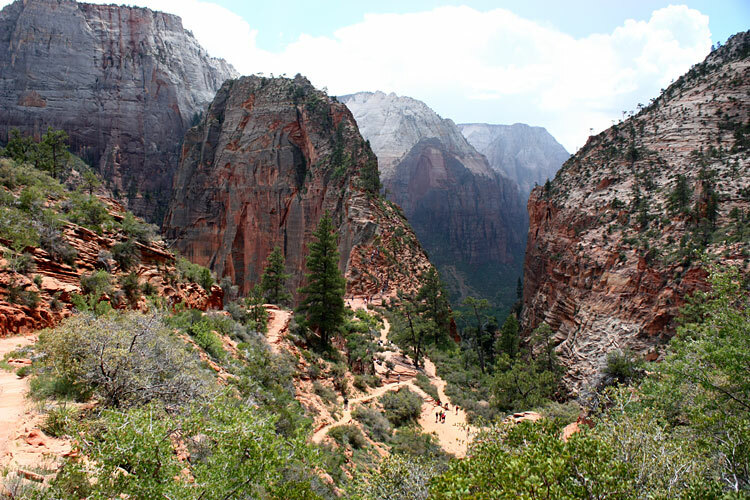 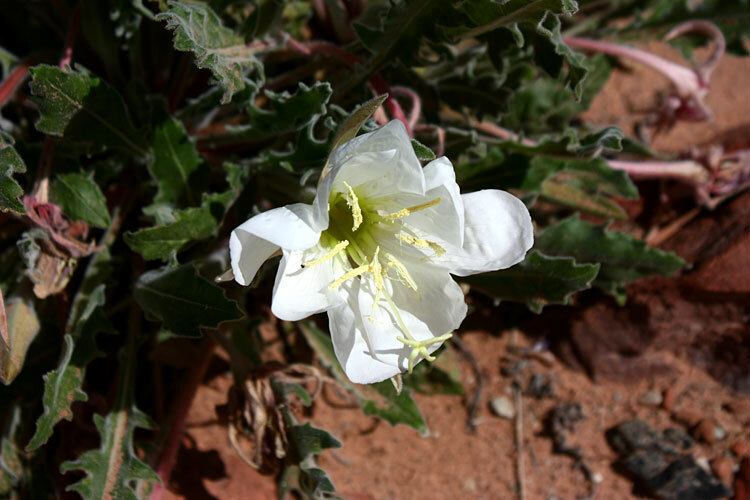 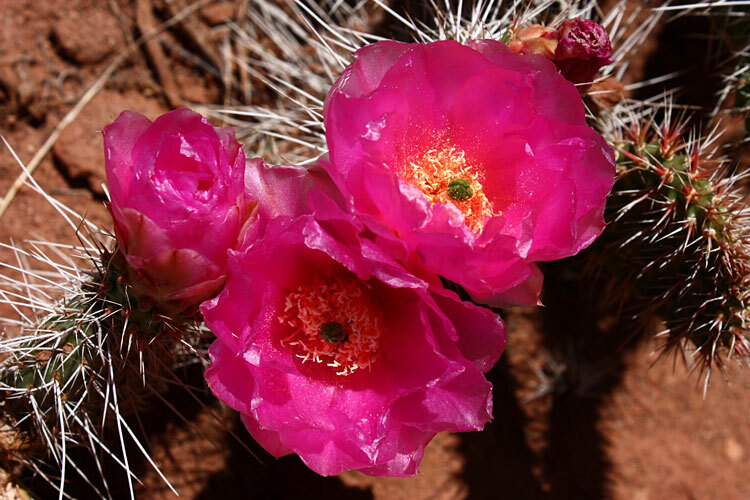 We hike 3 or 4 days, never more than 10 miles, both above Zion Canyon and in other scenic areas of the park. 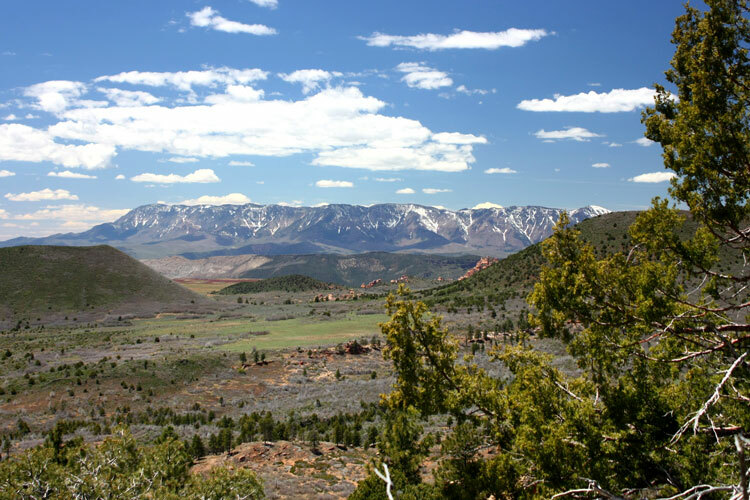 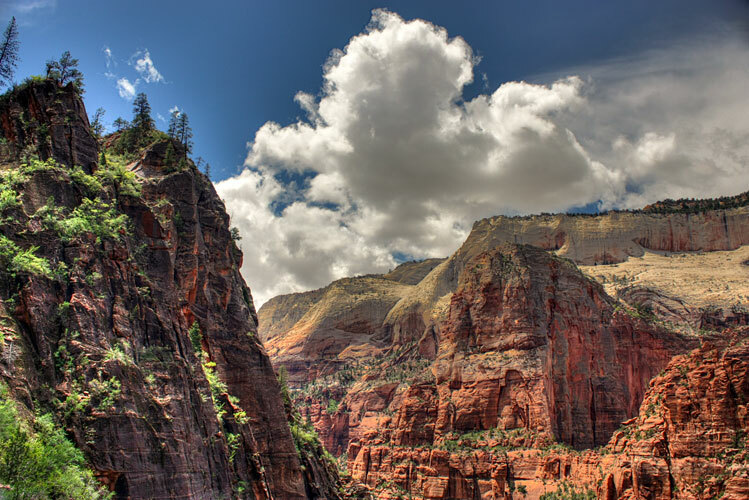 Zion offers some of the most spectacular canyon/Colorado Plateau scenery anywhere. 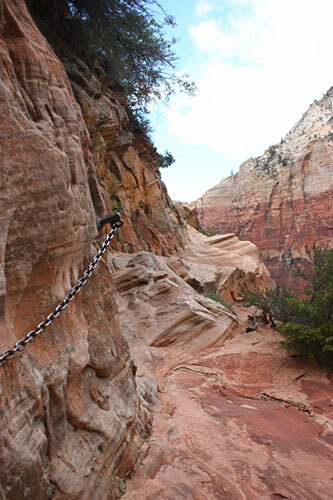 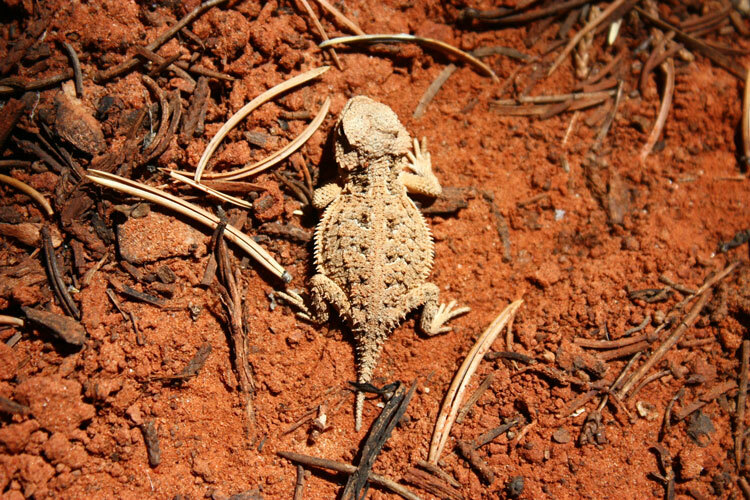 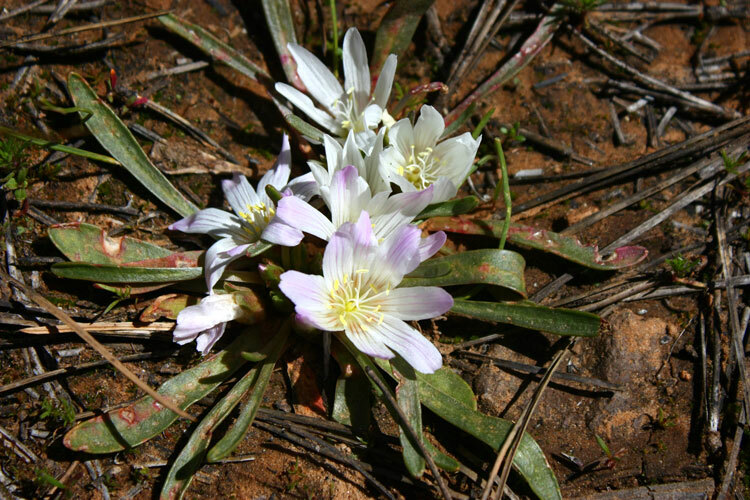 These pictures are just a small indication of the great hiking experience found in Zion National Park. 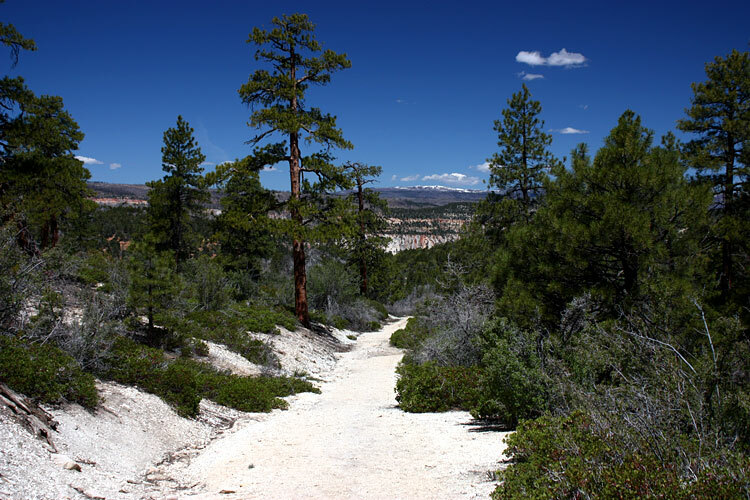 I have spent years hiking the high country near Boulder, Colorado, and would love to share the great trails found nearby. 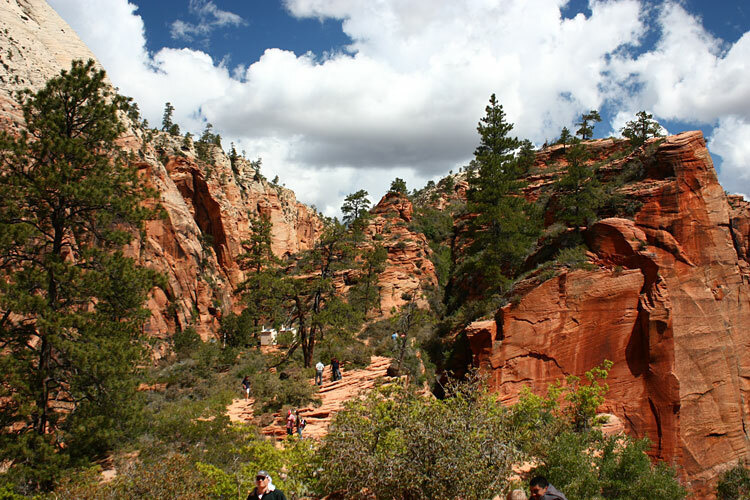 You will stay in hotels of your choice, hike 4 days with one day for local sightseeing, have opportunities to experience the summer culture of Classical, Pop music, and dine in some truly fine restaurants...great bakeries in Boulder also tease you with goodies for the trail! 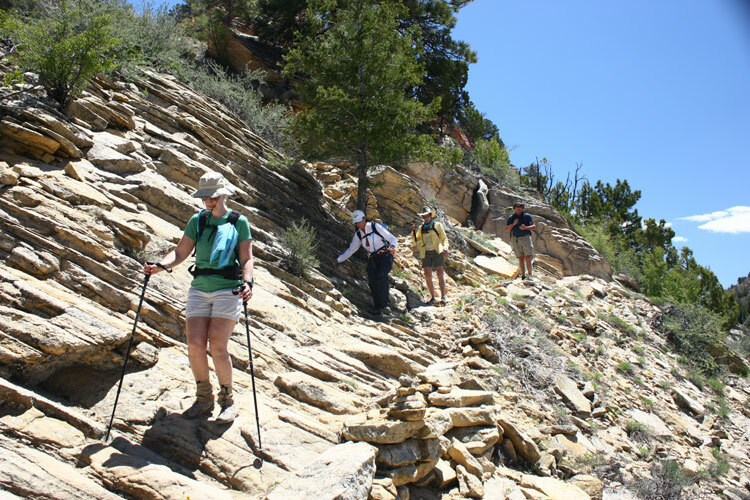 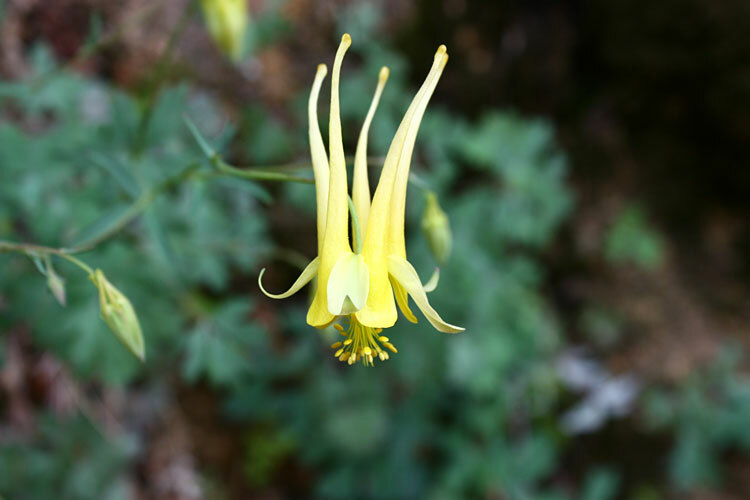 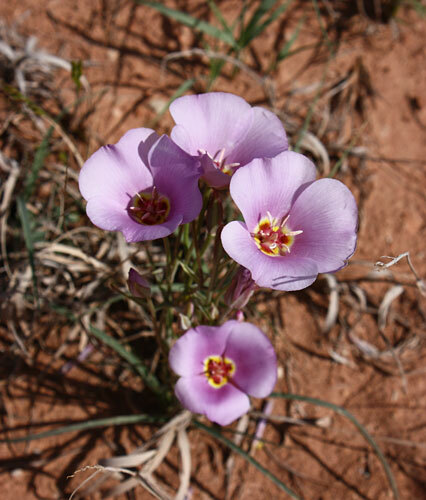 Places we hike include Rocky Mountain NP, Indian Peaks Wilderness, Boulder Mountain Park, El Dorado Canyon State Park.